Women on a Mission: Mom Edition: WRONG ORDER=FREE FOOD! 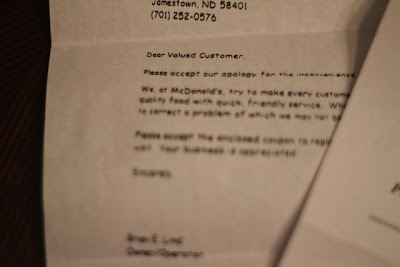 There is one thing that I love about McDonald’s and Hardee’s Restaurants. It is their brewed iced tea! Ethne and I are both major fans. And we both agree—the unsweetened is the ONLY way to go. Recently…actually within one weekend, I went through the McDonald’s drive thru and the Hardee’s drive thru to pick up iced tea. I of course was VERY SPECIFIC that it must be UNSWEETENED TEA! I get home, I take a sip, and I am distraught. SWEETENED tea! Nothing is worse! And so, I call. And I explain my frustration and demand FREE food coupons. Guess what—it worked and they arrived on the same day! Ready for my next tea trip through the drive thru. 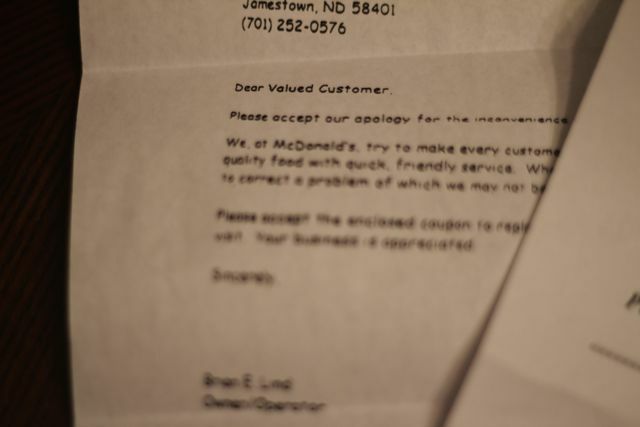 Let’s hope they get the order right next time! 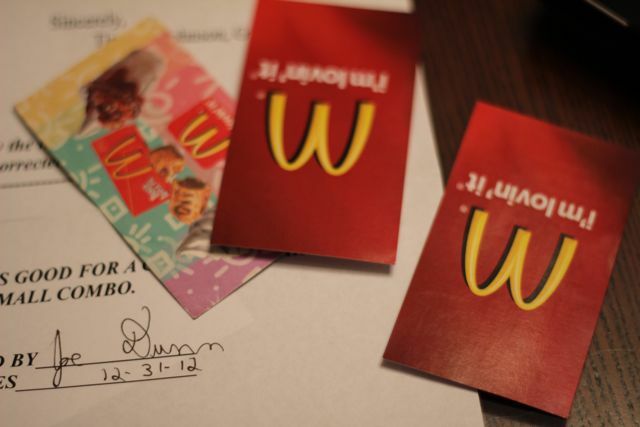 WOMS—ask for FREE food coupons…it works!